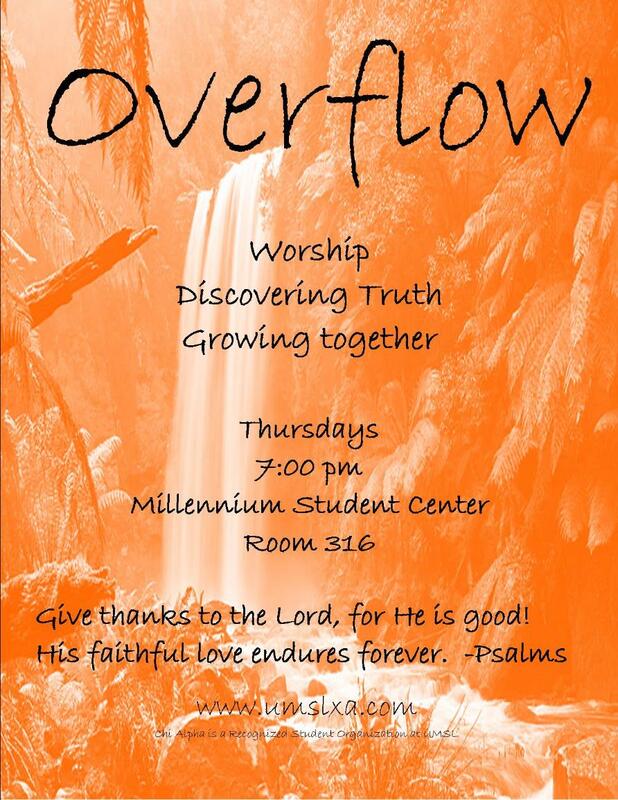 Come join our Overflow Gathering this Thursday at 7pm as we learn from each about God and encourage each other to follow Him! 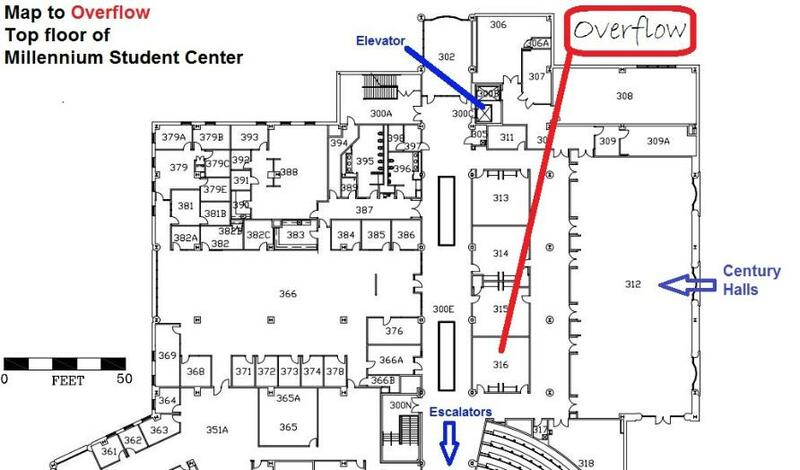 We meet in the Millennium Student Center in Room 316 (see map below). Need a ride from Oak Hall or University Meadows? Call or text us at 314-485-9125. Note: room is different from last semester. 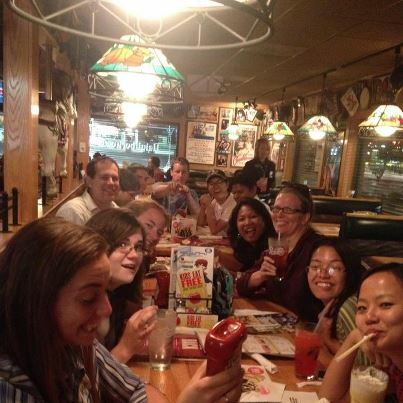 Below some of us are having fun at Appleby's after one of our Overflow Gatherings.